In over 200 years, spanning the reigns of nine monarchs, it has been owned by only three families . . . just before The Great War, Charles Rule, a descendant of the founder, was thinking of moving to Paris; by sheer coincidence he met Tom Bell, a Briton who owned a Parisian restaurant called the Alhambra, and the two men decided to swap businesses. 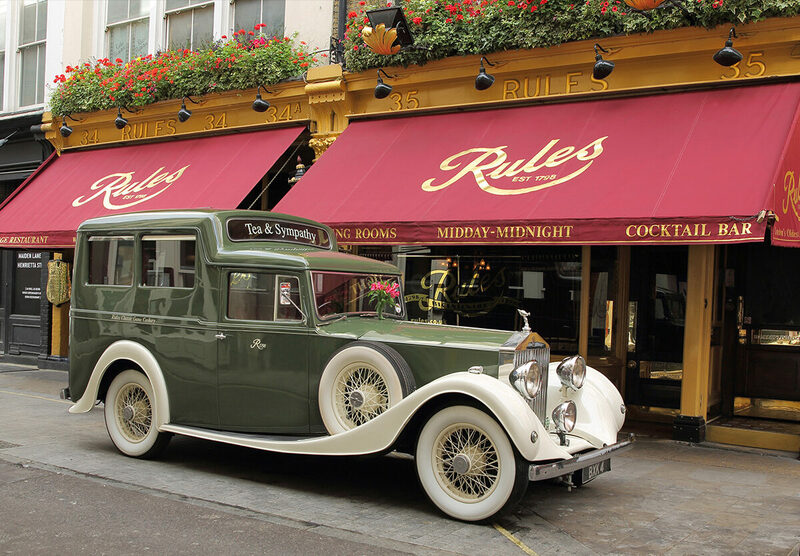 (During the war Tom Bell was an officer in the Royal Flying Corps, and left the running of the restaurant to Charlie, the Head Waiter, who had served Charles Rule for many years.) During the second world war, Rules stayed open but its structure was reinforced with thick wood.